Few more sleeps to Christmas! 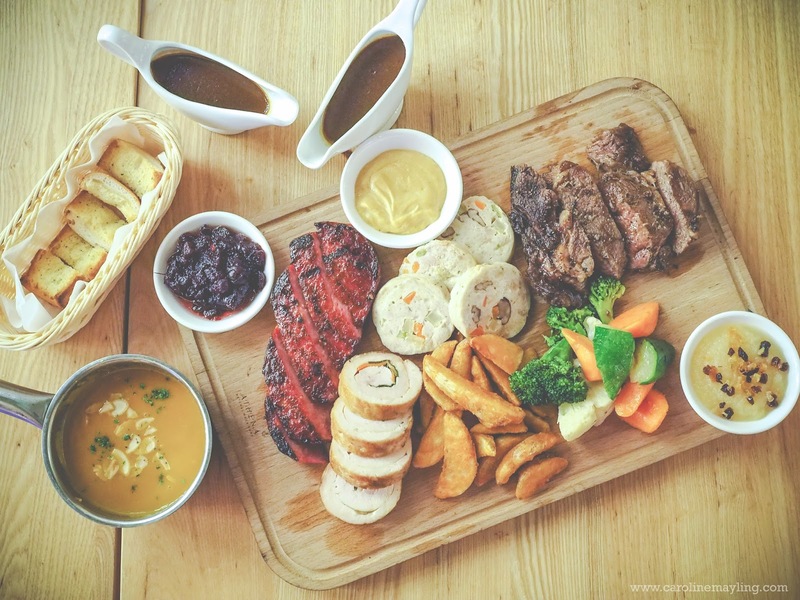 If you have yet to plan where to celebrate the joyful Christmas, why not bring your friends and family to enjoy a wonderful Christmas Platter at House, G Tower? The Christmas Platter is available for lunch and dinner from 1st December 2015 till 2nd January 2016. Pre-order is required in order to avoid disappointment. 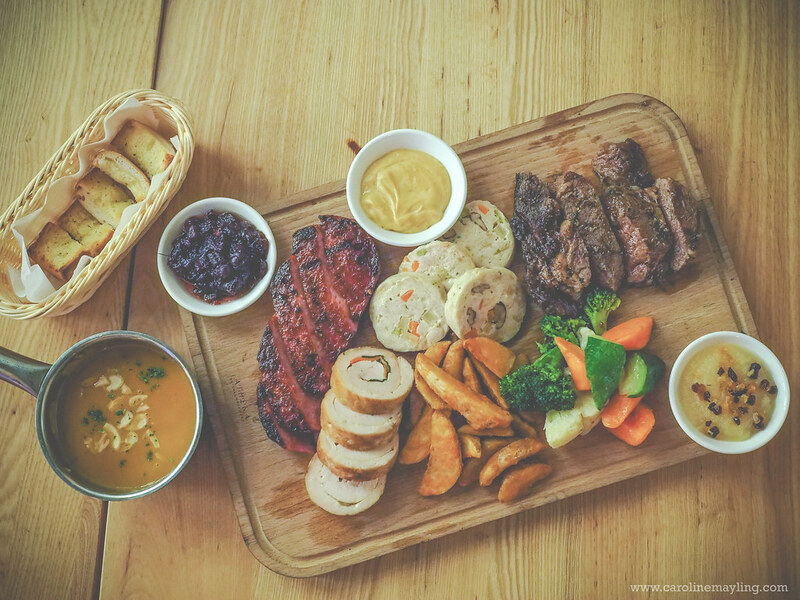 It is priced at RM229 per platter and suitable for 3-4 pax. You are going to indulge yourself with the roasted pumpkin veloute, roasted turkey, roasted beef ribeye, honey glazed turkey ham, chestnuts stuffing, buttered vegetable, potato wedges and also the Christmas yuletide log cake for dessert. 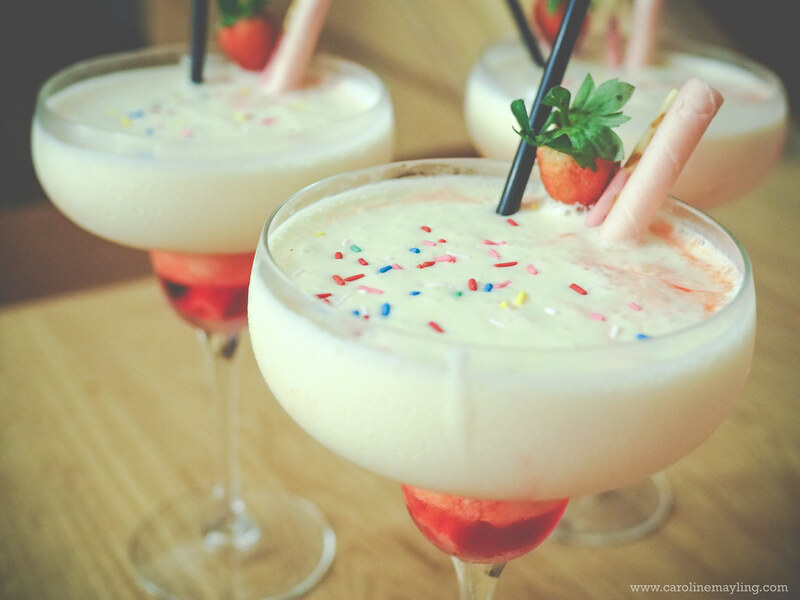 What's better for perfect sweet ending with these super Christmas-sy cocktails - Snowball (a mixture of malibu, pisco capel, orange juice and vanilla ice cream) and Christmas Cookie (a mixture of baileys, rhapsody, vodka, fresh milk and vanilla ice cream). 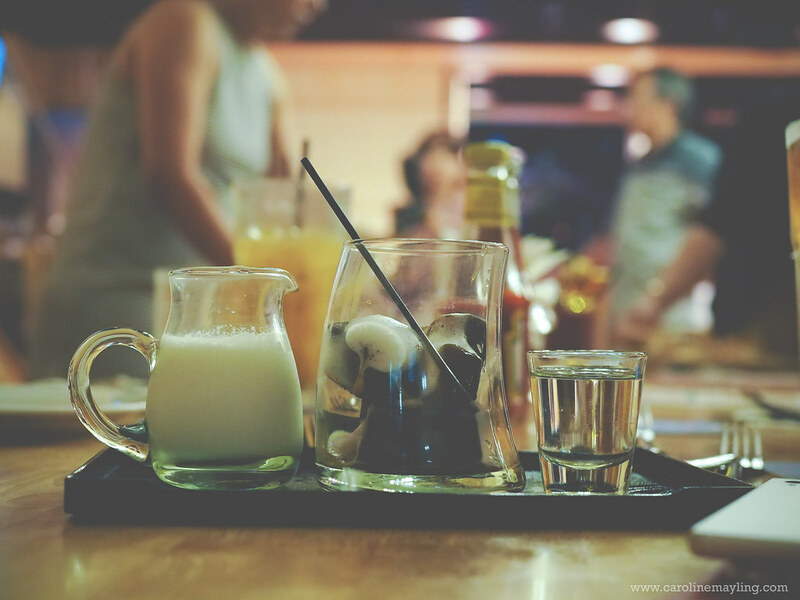 Of course, if it is not enough for a big group, you can always order from the menu which offers pretty extensive selection of dishes too! 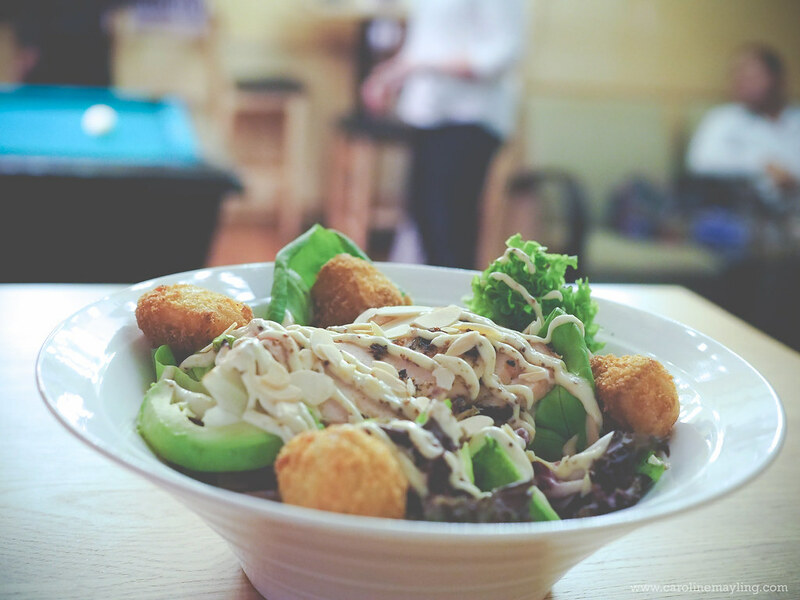 We had the Chicken & Brie Salad for starter, a bowl of mixed green salad with grilled chicken breast, deep fried brie cheese, avocado, almond flakes and honey mustard vinaigrette dressing. 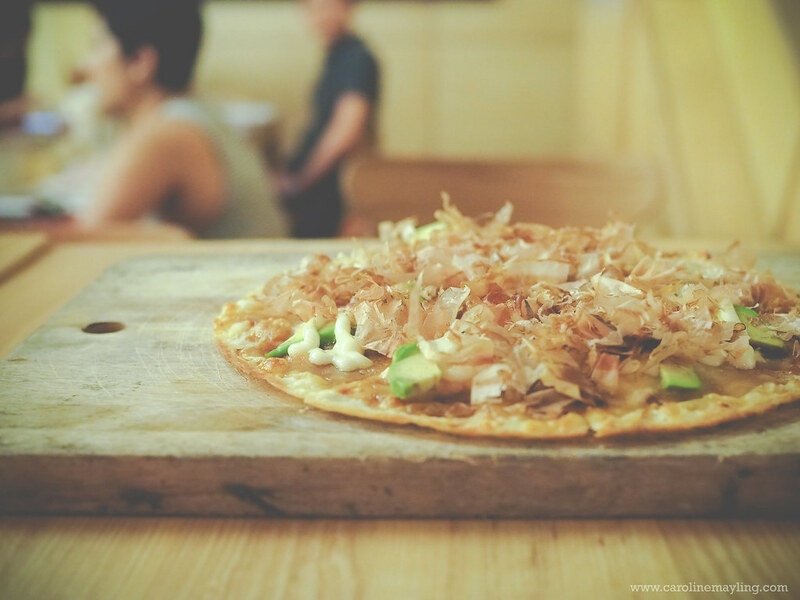 We also had the crispy House Wings served with chili sauce and delicious Teriyaki Salmon Pizza topped with bonito flakes to share before our mains were served. 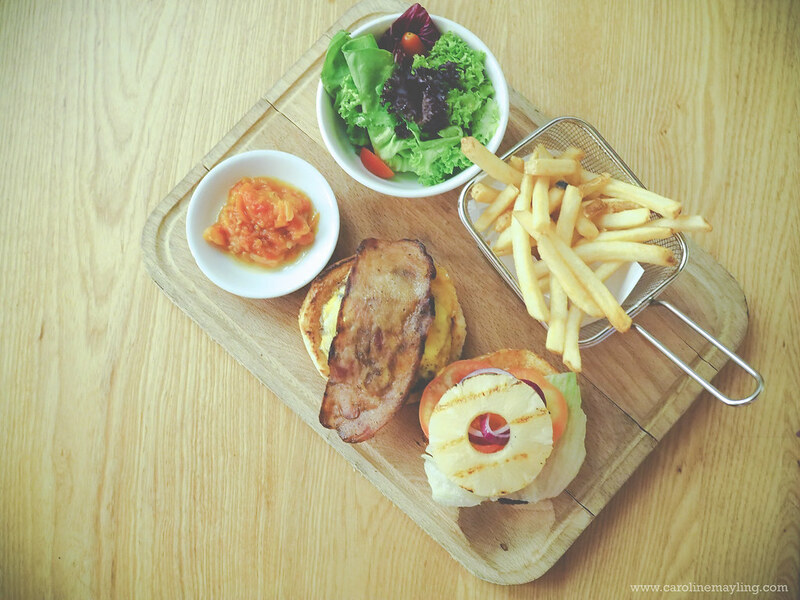 If you fancy burger, you can order yourself a House Classic Burger. 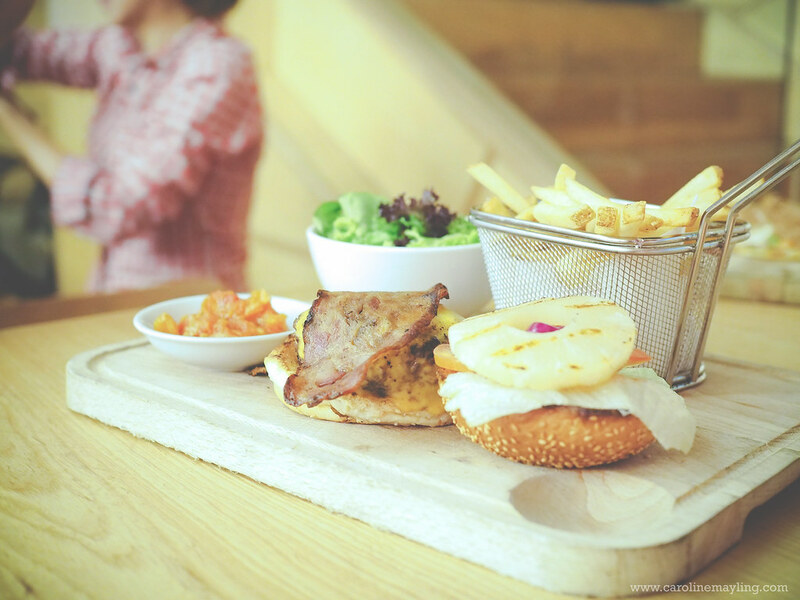 The Australian ground beef patty with melted cheddar cheese served on soft sesame bun accompanied with beef bacon and pineapple rings. It also served together with green salad and french fries too! Not a fan or burger? 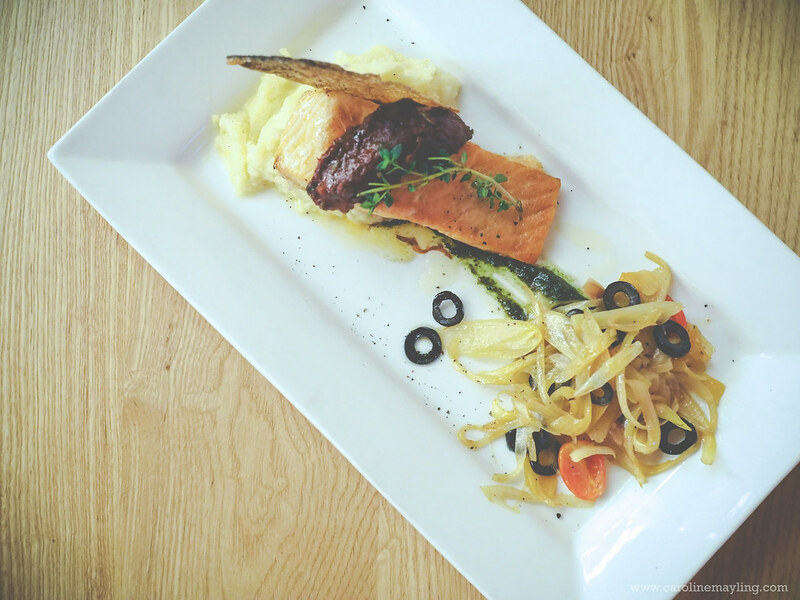 Fret not, you can always opt for the Pan Seared Crispy Skin Salmon instead. Love this one a lot! 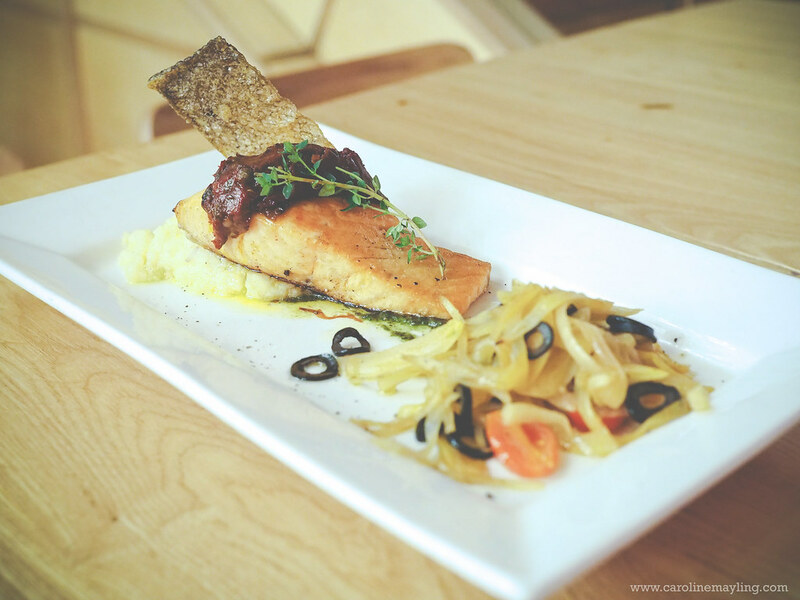 The salmon served together with organic lemon mash, fennel, basil pesto and tomato compote. Guess what? 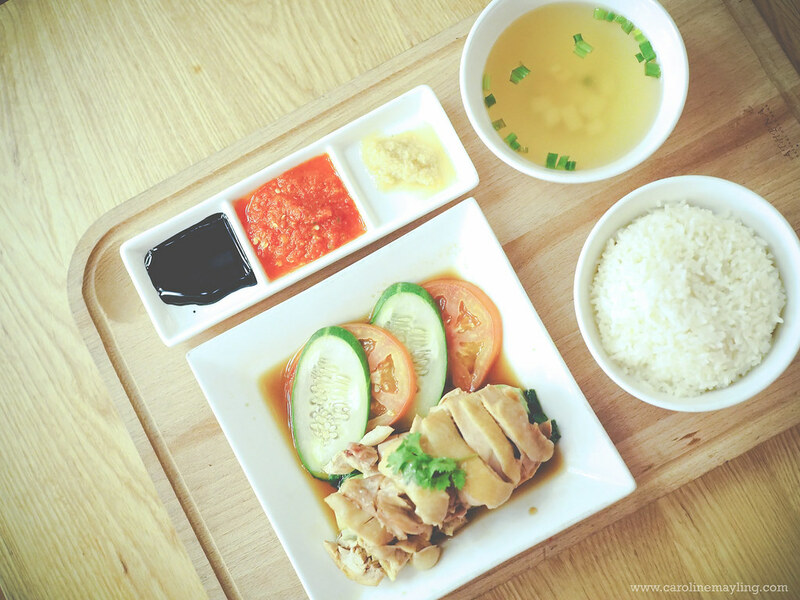 You can even order a plate of Hainanese Chicken Rice at here! 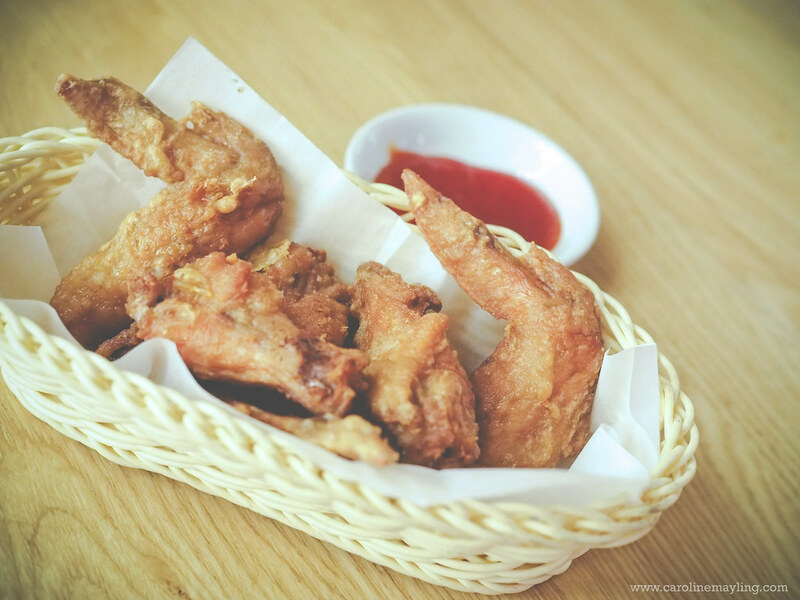 Just so you know that this is also one of their best seller dishes and most importantly, it is really tasty! The poached chicken served with fragrant ginger rice and homemade garlic chilli. It comes in a rather big portion too! 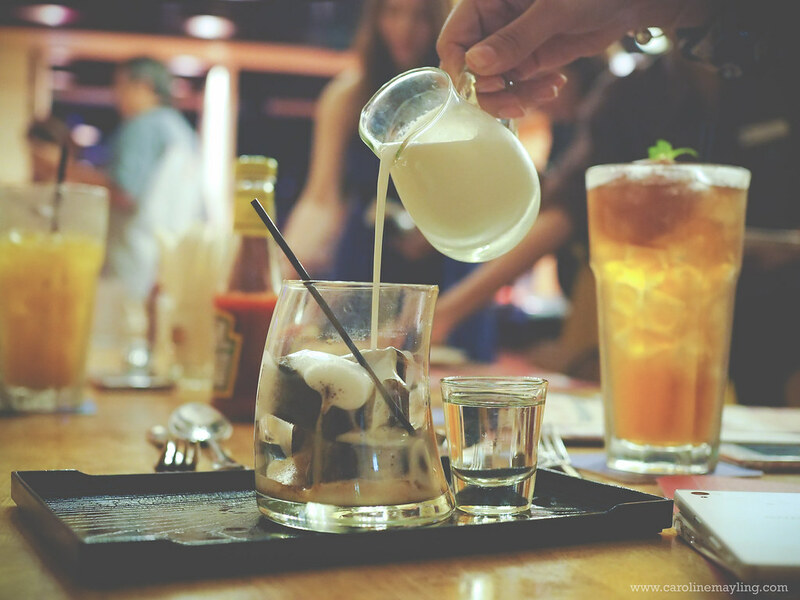 Their signature drink is the House Made Signature Iced Tea which is a fresh brewed ice tea, brown sugar, topped with your choice of lychee/peach/mangor/kalamansi. 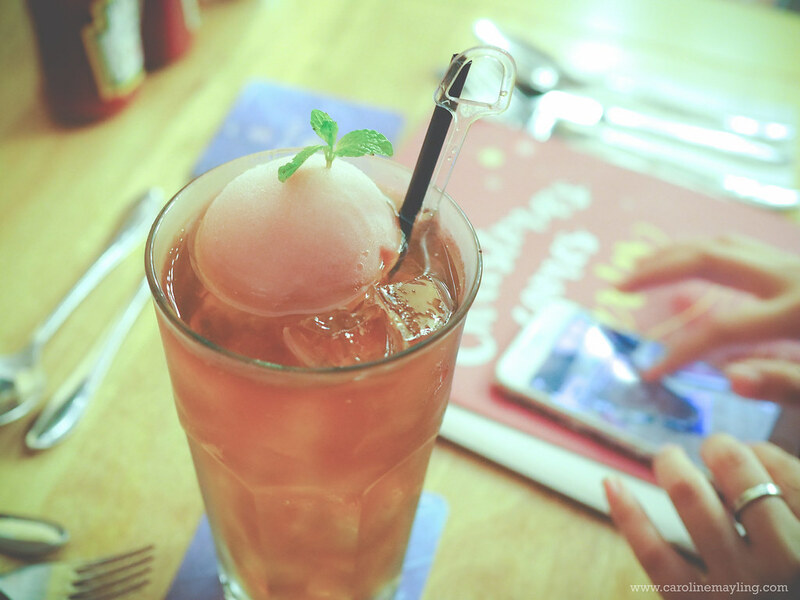 It's super refreshing and I definitely won't say no to an additional scoop of ice cream too! 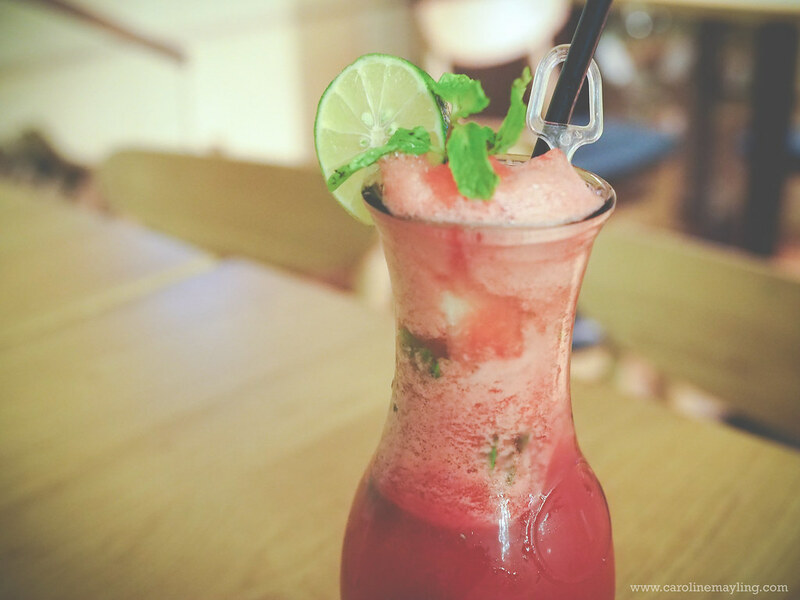 Melon Wonderland, a mocktail with a mixture of watermelon, monin wild mint, soda sprite, mint leaf. 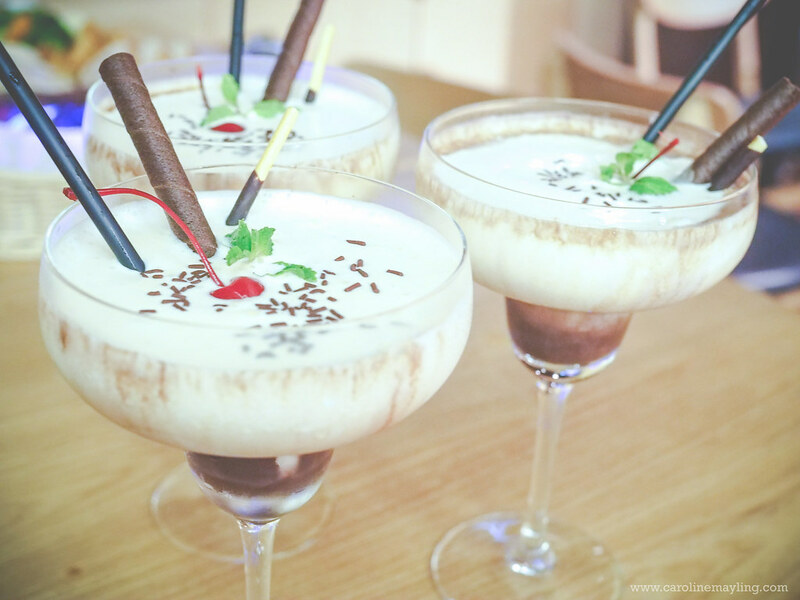 Another signature drink of House is Coffee On The Rocks, the frozen cubes of coffee served with fresh milk and syrup. You can opt to fill up according to your liking. LG 02-04, GTower, Jalan Tun Razak. the platter looks beautiful :) the feeling of festivity in me is still there, hahah! 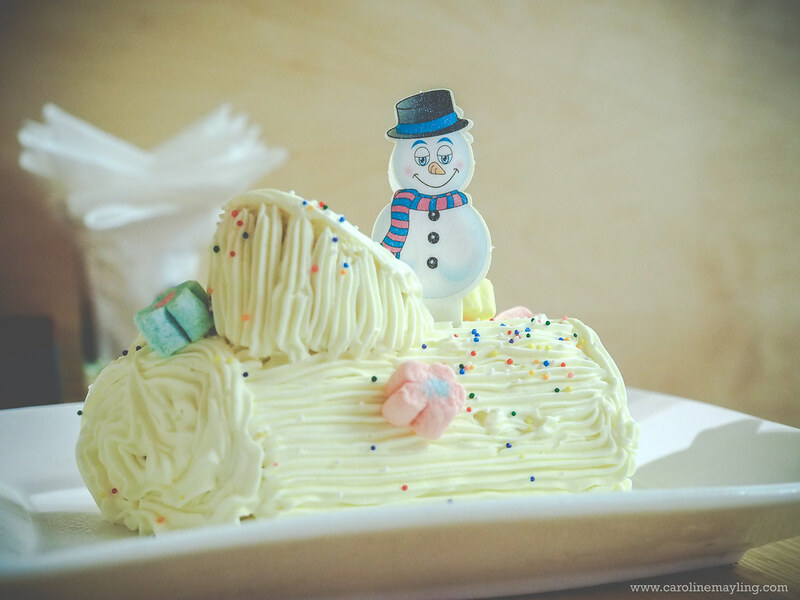 Of course the Christmas Platter is the highlight and I am drooling reading this post. 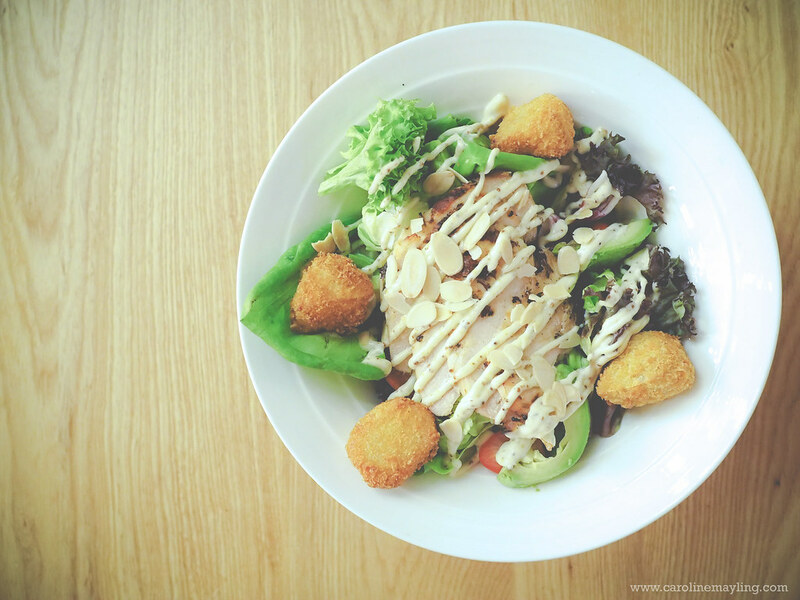 But the Chicken & Brie Salad also great for casual lunch or dinner there. wow yummy food and drink at this place. NO go there before as seldom go KL with family. 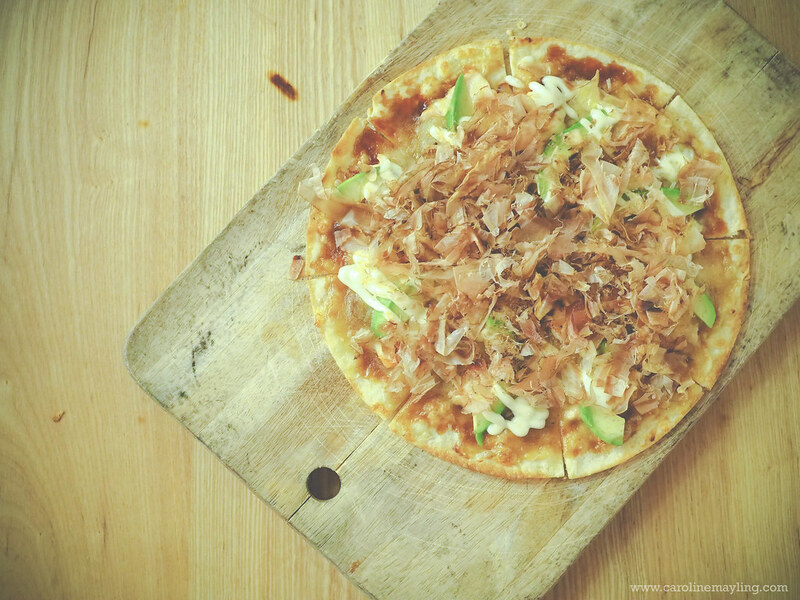 that teriyaki salmon pizza does look unique.. won't mind a bite at all! Oh my gosh! The food selections look so delish! I wanna try out those lovely desserts! Melon wonderland looks refreshing. Take away my thirst.